This is from CT. It appears to be largely Obama's response to emails flooding the web presently which assert that he is Muslim, among other things. In the Q&A, Obama speaks in relativle detail and his conversion and beliefs. He also gives a detailed answer to a question on abortion which is, of course, as the questioner put it "a key, if not the key" with evangelical votes. It's an interesting read. Check it out. J. R. R. Tolkien, as the model; these men certainly, clearly reflected the spirit of Christianity in their lives and works, but they also were influential in moving, and especially in Tolkien's case, forming culture. So where have the "culturally savvy" Christians gone today? Well, some people would probably say "Look at Bono". The man hasn't ever shied away from claiming Christianity, his charitable work(co-founding the (RED) campaign, for example) is known of across the globe, his influence is pretty impressive (a perfect example), and no can say that U2 has not been a cultural influence. Really, it's kind of like Mark Wahlberg's character said in Shooter... everybody just likes Bono. Here's an older, LONG article from Christianity today on the man, exploring his exploits on and off the stage. This article came back up because of the release of U23D, which CT also reviewed pretty positively. So check out the articles. 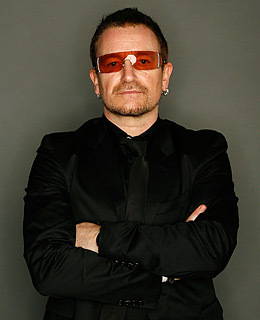 I'm a fan of Bono the man, myself, and whenever I get to listen to U2, I like them. Maybe I'll have to check out the movie. Maybes aside though, we all should consider, especially those who are going to all sorts of jobs in the secular world, i.e. most people, what it must look like for us to really be 'in the world but not of the world', citizens of the Kingdom of God who inhabit the world. This is the question that discipleship boils down to, and its answer is crucial for all the Body of Christ. Another article from CT on the circumstances within the American Episcopal church right now, the first I've seen there in a while. Apparently, while defying the Anglican Communion and refusing to act against certain liberal bishops, the church will not hesitate to take action against those who are seeking to release themselves from membership in the American church. The action against the dessenters is probably perfectly appropriate, but the dichotomy against the former appropriate actions left undone is striking. Pray for the ECA, for unity within themselves, and for submission to scripture and the decisions of the Anglican church in the next year. Because school starts today for so many(myself included!). I first saw this on the Parousian Weblog. If the natural sciences had been developed in Socrates’s day as they are now, all the sophists would have been scientists. One would have hung a microscope outside his shop in order to attract custom, and then would have had a sign painted saying: “Learn and see through a giant microscope how a man thinks” (and on reading the advertisement Socrates would have said: “that is how men who do not think behave”). Taken from his Journals, I believe. 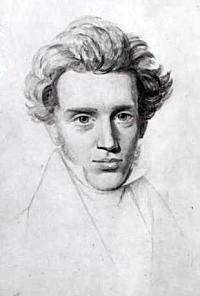 I'm taking a class on Kierkegaard this semester, so I expect that he'll find his way onto through the wardrobe more and more as a result.